When millionaire Kyle Tailor's new girlfriend is spotted by paparazzi with an old flame, it's an instant deal breaker…until he realizes just how wrong his assumptions were. Problem is, she's actually pregnant with his child, and it'll take everything he has to prove himself worthy again! When he proposed to Katrina Morrison, wealthy hotelier Jonas Halstead made it very clear their marriage would be in name only to save his inheritance. So why is he the one falling in love? 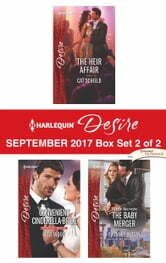 Shy Sally Harrison indulged in a one-night stand to push her own boundaries…and now she's pregnant with her new boss's baby! Kirk Tanner doesn't believe in love, but will doing the right thing for their baby lead to romance? 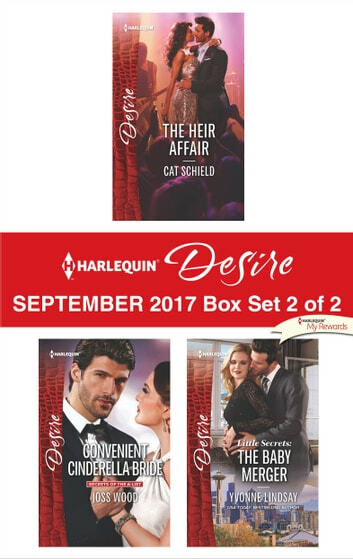 Look for Harlequin® Desire's September2017 Box Set 1 of 2, filled with even more scandalous stories and powerful heroes!